At Century Club, you are spoilt for choice. Within our four floors comes an array of uniquely designed and distinctly stylish rooms available to you. Incredibly versatile, we have a space that will perfectly suit your needs. From morning until night, intimate gatherings to extravagant soirees, we are here to provide the perfect back drop for your event. However large or small your request may be, our events team will be delighted to help design your perfect occasion. With flexibility at the core of the Club’s ethos, our team are always on hand to ensure each and every guest has an unforgettable time at Century Club. Whether you wish to host a milestone birthday celebration or a private dining experience up to 100 guests, a private screening night and full band performance, or even a completely bespoke party for 200 guests, no enquiry is too much. 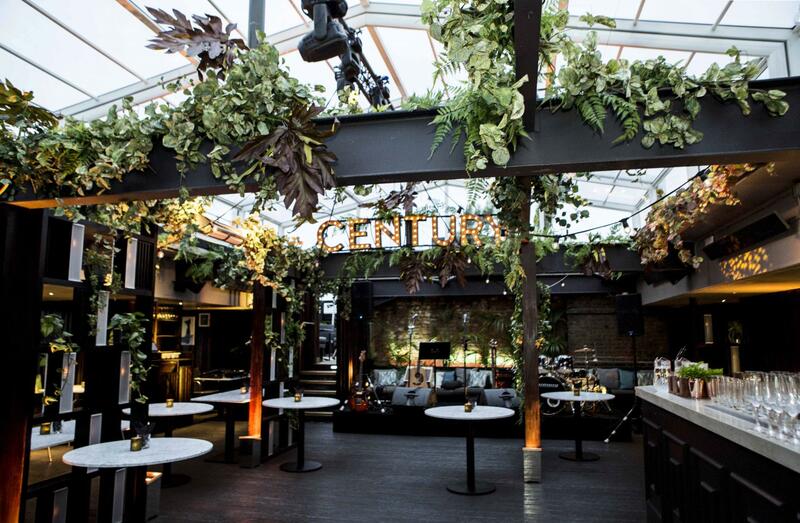 Century Club boasts one of Soho’s largest roof terraces, complete with a fully retractable glass roof, perfect for the unpredictable British weather. A truly fantastic space, complete with a large bar, the Roof Terrace is perfect for drinking, dining or dancing. Or you can ascend the steps to the balcony and take in the panoramic views as you sip a glass of Champagne. The Roof Terrace is available on special request. Please speak to our events team for more information. -	Drinks receptions, parties etc. The Park Room is a stylish and welcoming meeting space. It boasts double aspect windows with views of St Anne’s Church Yard, as well as the vibrant lights of Soho. The Park room is a combination of deep greens and vibrant copper, tied together to create a truly unique and creative atmosphere, perfect for dining, creative brainstorming, meetings designed to impress. As a lounge space, the Club Room is one of our most popular spaces. Ideal for a morning coffee, lunch with a side of business, or a quiet evening cocktail. The room also hosts several events, from talks and seminars through to lounge music sessions and parties. The Club Room is available on special request. Please speak to our events team for more information. The Green Room is the Club’s main event space; as such it’s one of our largest and most versatile rooms. 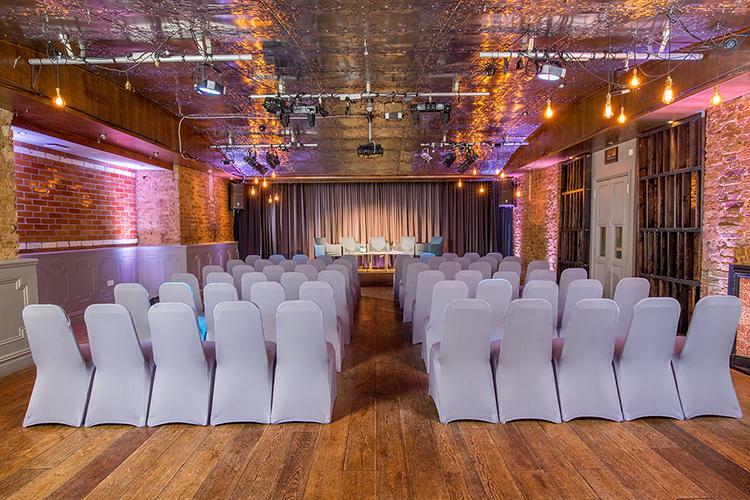 Fully equipped with AV and lighting, the Green Room is a blank canvas for any and all events, such as music showcases, talks & seminars, networking, comedy nights, parties, dinners, weddings, etc. The most striking feature of the room is the arched roof, designed with precision to achieve the perfect acoustic balance. 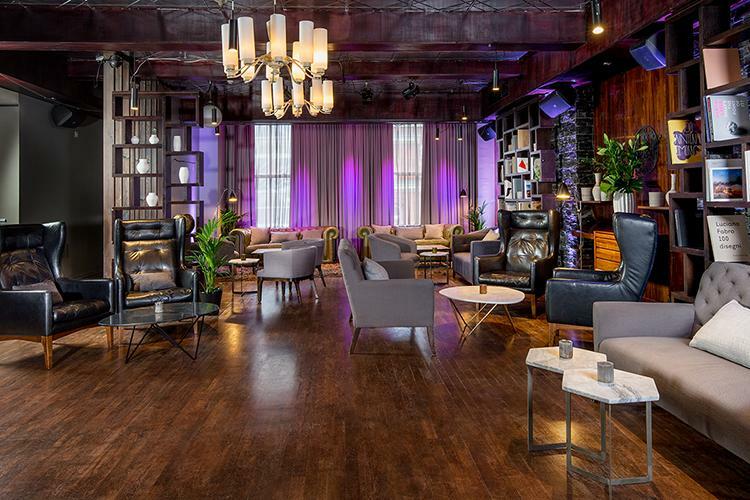 The Cocktail Lounge is one of our most popular spaces; it’s versatile and spacious with a large bar, spectacular metal ceiling and beautiful exposed brick. The Aptly named Avenue Room faces on to one of London’s most famous streets, Shaftesbury Avenue. A bright and airy room with ample space and large table make it the perfect room for small networking events, dinners and meetings.